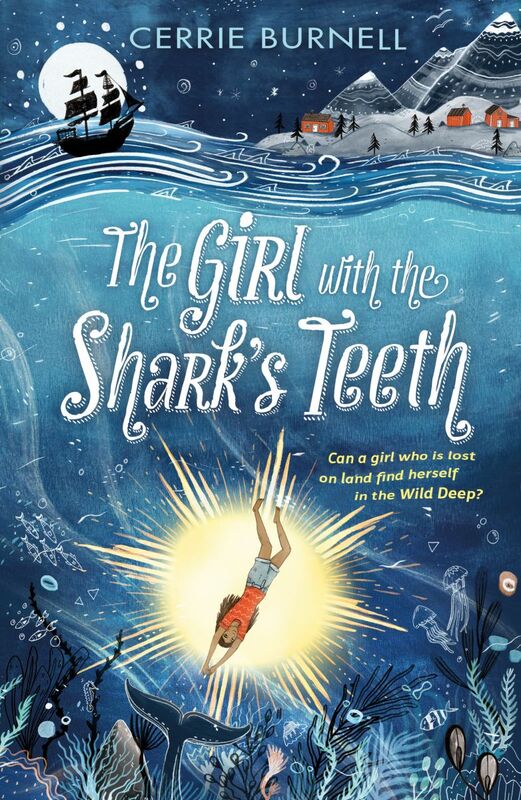 ‘The Girl with the Shark’s teeth’, by Cerrie Burrell, Oxford University Press. Due for release 3 January 2019. Our first Children’s book review on the blog is from one of our avid readers who just loves to visit the shop. She was very excited to get to review a book not yet released for the website. Well, let me tell you about it…. ‘Minnow is a girl who is constantly pulled to the water, but she doesn’t know why. She lives a peaceful life with her mother, Mercy, and her husky, Miyuki, on ‘The Seafarer’. Suddenly, her mum is kidnapped by three men and her mother tells her to sail to her grandmother’s house after dark. Minnow is worried but does as she is told. As she sails close to a dock she sees a boy in blue trainers dive under the water, thinking he is drowning, Minnow comes to his aid but he is just practicing diving. A bond forms between the two, and they set off on an adventure to the wild deep! Thanks Isobel, and we will get you to review another one for us very soon!